If you’re missing teeth or are suffering from the pain and inconvenience of ill-fitting dentures, or if you have postponed getting a bridge or tooth replacement, Dr. Gary Alhadef, a dentist in Dallas can improve your quality of life. Whether a result of gum disease, decay, or trauma, losing a tooth is a serious event that must be corrected. A missing tooth can inhibit the way you smile, speak, and eat, and it can lead to many other dental and overall health problems. The most fundamental part of a healthy smile is good tooth-root structure. The roots of your teeth prevent teeth from shifting, maintain bone density, and provide the foundation for your smile. As the prosthetic that most closely mimics nature’s design, these devices serve as substitute tooth roots. Each implant is strategically placed in the jaw, where bone integrates with it to create a solid foundation and an excellent anchor for a crown, bridge, or denture. With proper care, they can last a lifetime. These come in several different forms. The first type is called a root form dental implant. This looks like a screw and is placed directly into the bone where the tooth root once was. The second type is called a plate dental implant. A plate dental implant is usually used when the jawbone has deteriorated and is too narrow or thin for a root form implant. In certain cases the jawbone has deteriorated so much that a section of it must be enhanced with an artificial, custom-made jawbone. This is called a subperiosteal dental implant. Patients rarely need this type of dental implant and are typically fine candidates for root form or plate dental implants. Unlike dentures, these implants are not removable. Replacement teeth and crowns are made to perfectly match the rest of your natural teeth, and they perform just like any of your natural teeth. Dallas cosmetic dentist, Dr. Gary Alhadef, trusts Nobel Biocare implants, world-renowned for their esthetic excellence and maximum stability even in compromised bone situations. In finishing your beautiful restoration, Dr. Alhadef custom mills E-Max crowns chair-side using the CEREC system. These all-ceramic crowns are appealingly delicate in appearance but strong and durable. They are considered the best match with natural teeth. What are dental implants? What different types of dental implants are there? Dental implants are used to replace missing teeth. Unlike dental bridges, dental implants fuse to the jawbone, replacing the entire tooth, not just the visible portion of the tooth. There are three different types of dental implants that can be used depending on the amount of jawbone you have or how much your jawbone has deteriorated. The different dental implants are root form implants, plate form implants, and subperiosteal implant. The root form dental implant is the most common type of dental implant. A root form dental implant is similar to a screw that is shaped like the root of a tooth, and is placed directly into the jawbone, under the gums.In order to place a root form implant, anesthesia must be used, and the implant is surgically implanted within the jawbone. After the implant has been placed, it usually takes three to six months for it to fuse with the jawbone and for the gums to heal. Once the implant has healed, it can be uncovered, and the replacement tooth can be attached to it. Root form implants are used when the jawbone is healthy and thick. If the jawbone has deteriorated, or has lost density, a root form is not always used. When the jawbone has deteriorated, or if it is too short or narrow for a root form implant, a plate form dental implant may be used. The plate form implant is a longer, flat piece of titanium that is placed on top of the jawbone, beneath the gums. Once a plate form dental implant has been placed, bone and other tissue will grow around it, making it secure.Much like the root form dental implant, anesthesia must be used to place the plate form dental implant. After the anesthesia has been applied, an incision is made in the gums, and the dental implant is placed directly on top of the jawbone, and the incision is closed. It takes between three and six months for the bone and tissue to grow around the dental implant. After the dental implant has healed and fused to the bone, another procedure is performed to uncover dental implants and attach the replacement tooth or bridge. The length of time it takes to receive your replacement tooth depends on the healing period. For some patients, a replacement tooth can be attached quickly. Implant Dentist Dr, Alhadef can inform you more about which type of dental implant is right for you. Subperiosteal implants are only used when there is not enough jawbone to support either a root form dental implant or a plate form dental implant. A subperiosteal dental implant is custom made, and is attached directly to the jawbone, enhancing and strengthening its surface.Much like the plate form dental implant, a subperiosteal dental implant is placed beneath the gums, directly over the jawbone in a surgical procedure that requires anesthesia. Unlike other types of dental implants, a subperiosteal implant requires an impression of the existing jawbone prior to being placed. There are two ways to obtain an impression of the existing jawbone. An impression can be made during a surgical procedure, in which the jawbone is exposed, or it can be obtained using a CAT scan to map the area of jawbone that will require the dental implant. After the impression has been made from either method, the dental implant is then custom made in a dental laboratory in about two weeks. After the custom made dental implant has been created, a second procedure is perform to permanently place the dental implant on the jawbone. Once it has been placed, the dental implant must heal and fuse to the bone and tissue surrounding it over a period of about three to six months. Once this has been completed, a replacement tooth can be attached. Am I dental implant candidate? What type of dental implant is right for me? For the most part, if you are missing one or more teeth, dental implants are the right choice for you. The only person that can determine if you are a good candidate for dental implants is a qualified cosmetic dentist like Dr. Alhadef. Implant Dentist, Dr. Alhadef will evaluate your jawbone and your dental health to determine if you are a candidate for dental implants. If you have a missing tooth and are considering dental implants, the only person who can determine which dental implant is right for you is an experienced cosmetic dentist. Dr. Alhadef will evaluate your overall health and your jawbone to determine what kind of dental implant is best for you. How long will my dental implant procedure take? Dr. Alhadef will be able to give a more definite timeline when you meet for an initial consultation. While the actual procedure may be relatively short, healing after you have received your dental implants can take months. As a result, the timeline for a dental implant procedure is unique for everyone. Dental implants can be a costly procedure because they involve multiple appointments and can involve several surgeries. However, the result is a tooth replacement that performs and feels just like a natural tooth. Dr. Alhadef is proud to offer financing options so that your dental implant can fit well within your budget. Dental implants are an excellent solution for replacing missing teeth. This is because they replace the entire tooth, not just the visible portion of the tooth. By doing this, dental implants can prevent bone loss, gum disease, and tooth decay better than other cosmetic dentistry solutions. 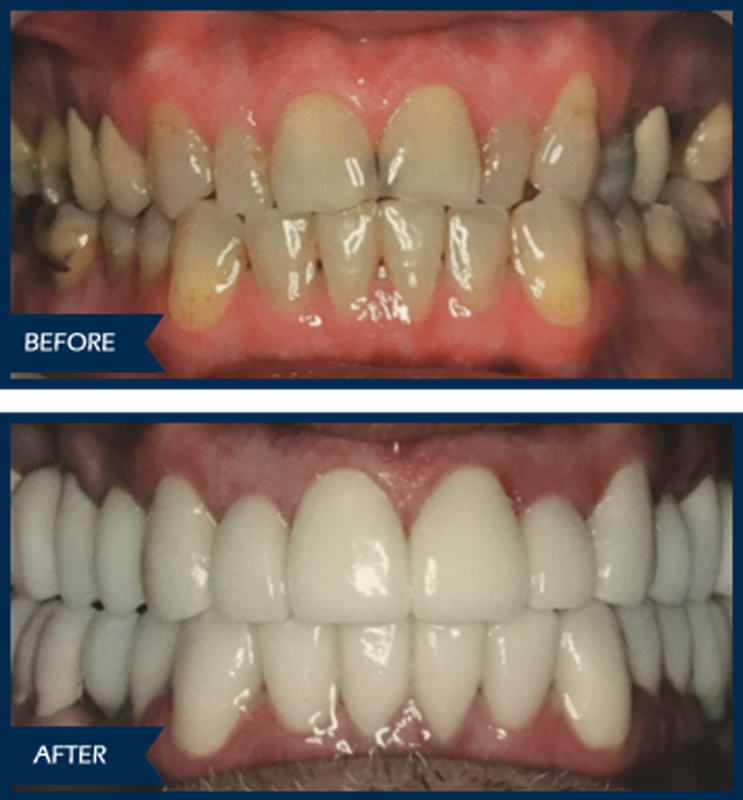 If you are suffering from the effects of a missing tooth or teeth and would like to correct your smile, this may be the solution you have been looking for. Contact cosmetic dentist, Dr. Alhadef, today.